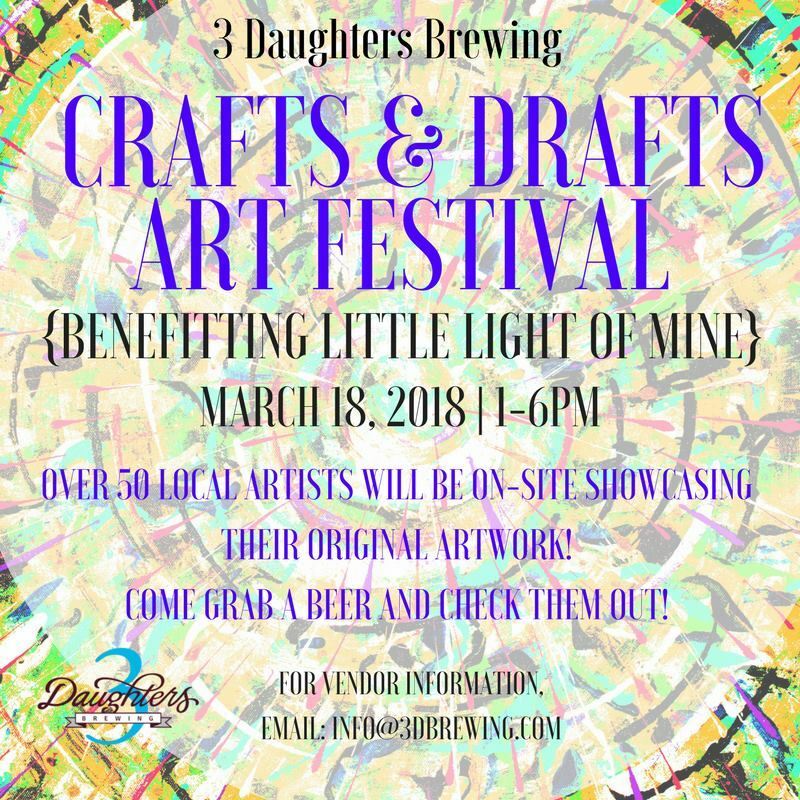 Crafts and Drafts is our first ever arts festival and it's for a great cause. Benefitting Little Light of Mine, we're hosting over 50 unique artists from around the Bay Area. If you're interested in showcasing your artwork please send an email to info@3dbrewing.com.